John Napaepae, James Brent and Rick Miller. 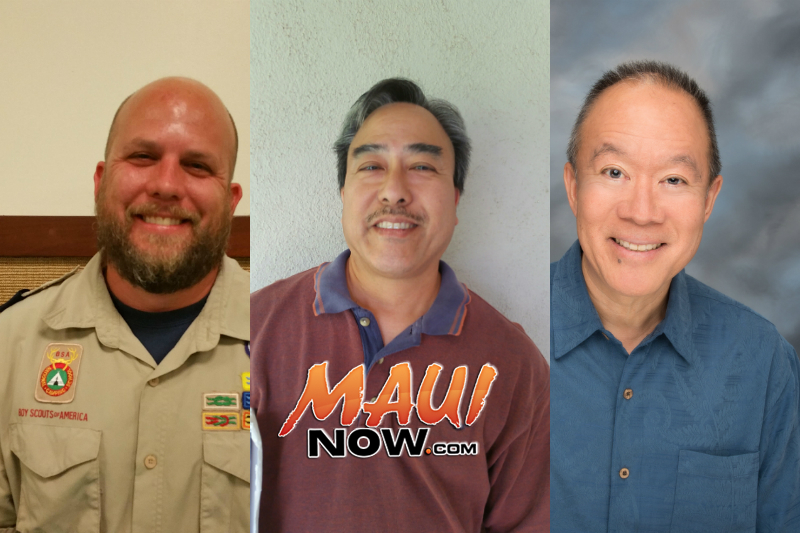 The Maui County Council, Boy Scouts of America will honor four individuals for their service and volunteerism at the organization’s upcoming Annual Dinner. James Brent and Rick Miller will receive the Silver Beaver Award, which recognizes volunteers for consistent, dedicated service to the area’s youth. The award was introduced in 1931 as the highest Scouting award given at the local council level. 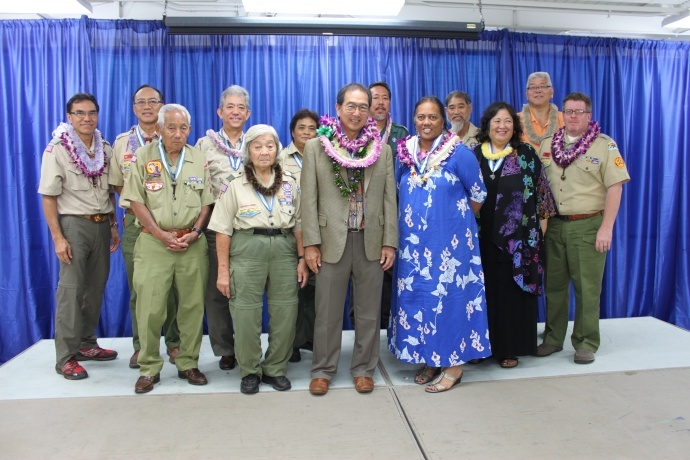 John Napaepae and Elbert Kuniyoshi will be honored with the District Award of Merit, which is presented to any registered Scouter who renders service of an outstanding nature. “We are honored to have the opportunity to recognize these wonderful volunteers, and grateful for their years of devoted service. 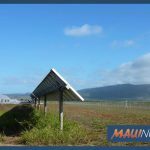 It is only because of the leaders with this type of dedication that we are able to serve about 900 youth in Maui County,” said Duc Button, MCC Scout Executive. 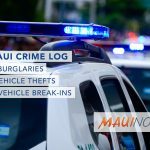 The Annual Dinner will be held on Saturday, Feb. 2, 2019 at 5:30 p.m. at the LDS Maui Lani Stake Center. Cost is $150 for a catered table of eight; or $20 per person for a catered meal. Individuals wishing to attend can sign up online at the organization’s website.